BalletClass: THE SAINT PAUL BALLET PROJECT: PORTFOLIO: Caroline Yang. Photojournalist based in Minneapolis / St. Paul, MN. Contact caroline@carolineyang.com. 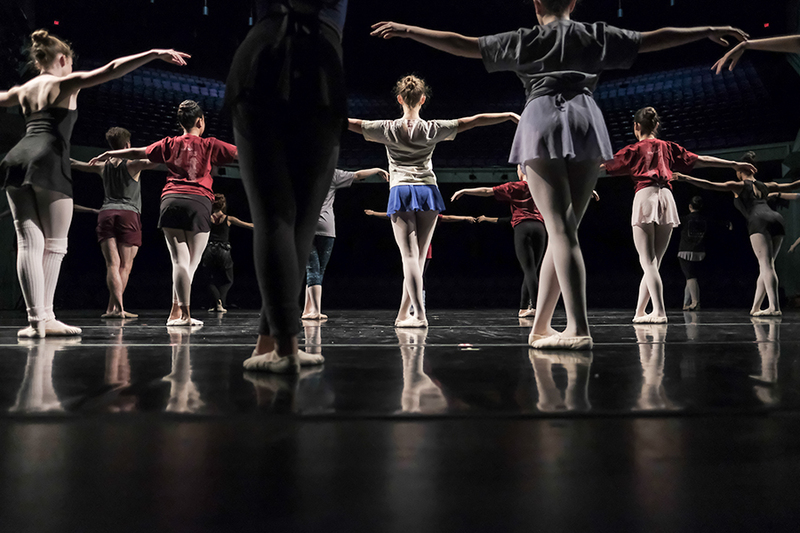 St. Paul Ballet dancers take ballet class on stage before the show on December 2, 2016 in St. Paul, Minnesota.